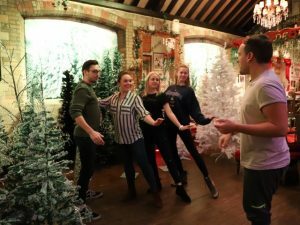 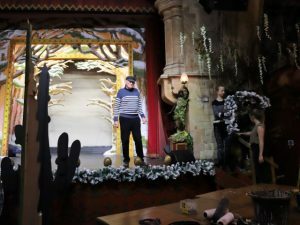 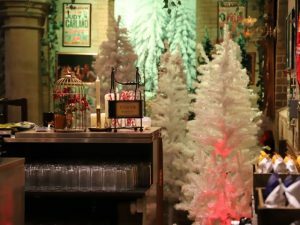 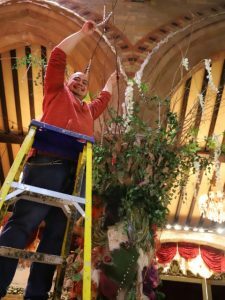 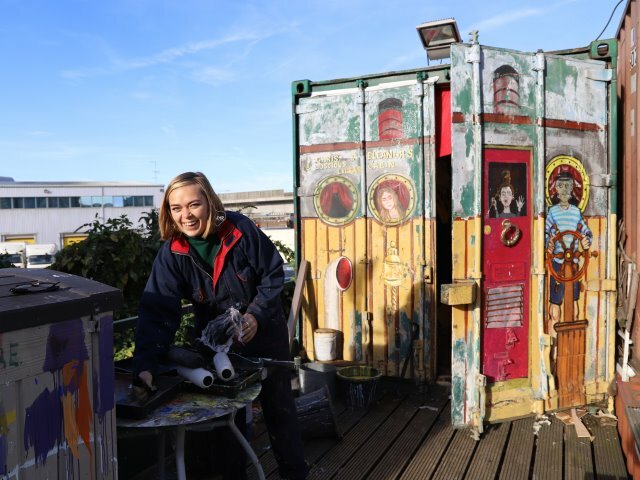 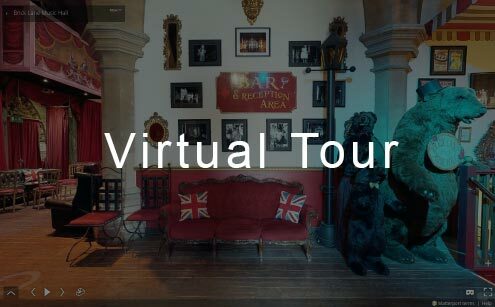 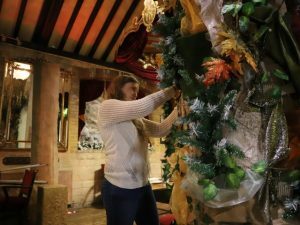 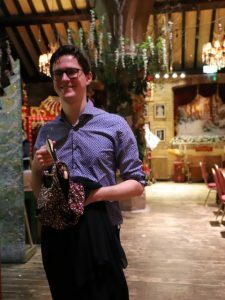 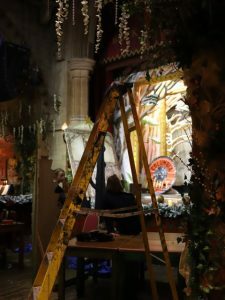 As our Christmas show gets under way, we take you behind the scenes to see some of the work that has been done on the staging and around the theatre to get ready for the festive season! 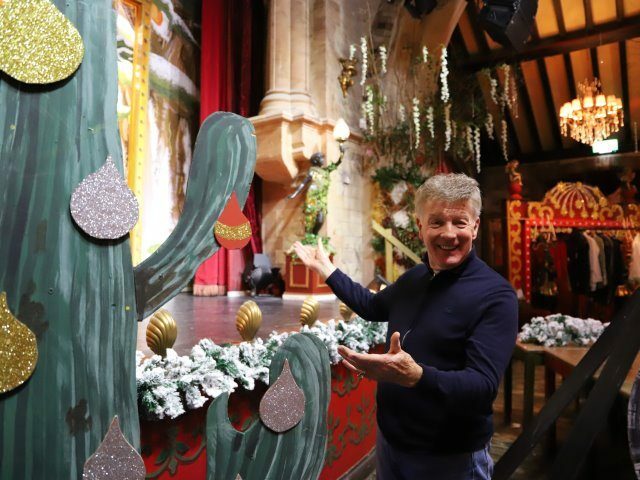 Above, Vincent Hayes is ready to get the party started – Vincent’s Jingelbell Christmas! 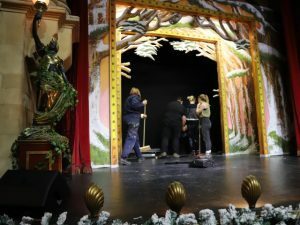 – November 20th – December 21st 2018, but everything has been in planning for several months and work started on the initial sets and backcloths back in October. 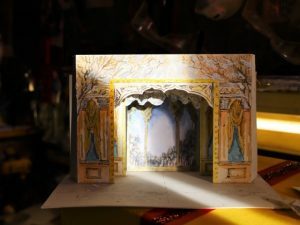 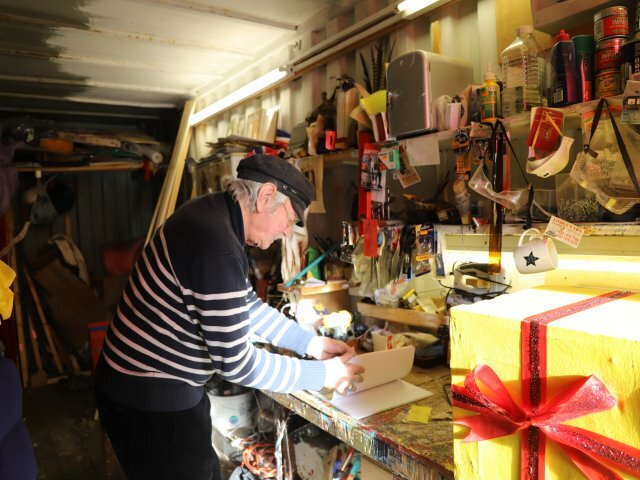 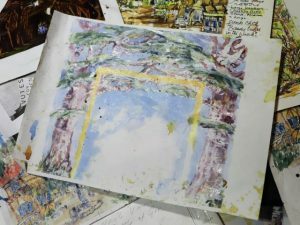 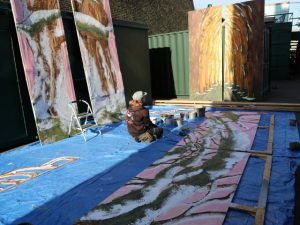 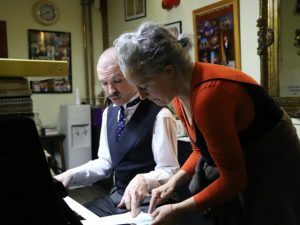 Based in his studio behind the theatre, scenic artist, Chris Floyd has over 50 years of experience in theatre design and scenic painting. 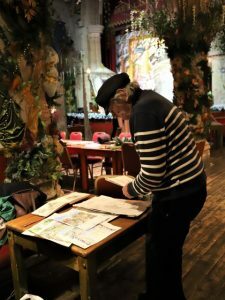 He works with a small talented team who follow his detailed sketches to create our marvellous atmospheric sets. 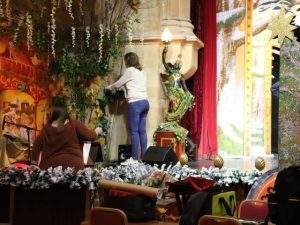 The week before the show was due to open, Chris and his team were able to move inside and put the finishing touches to the staging and set. 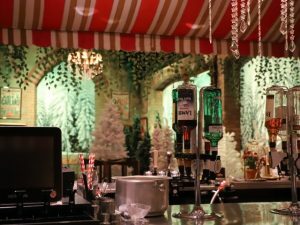 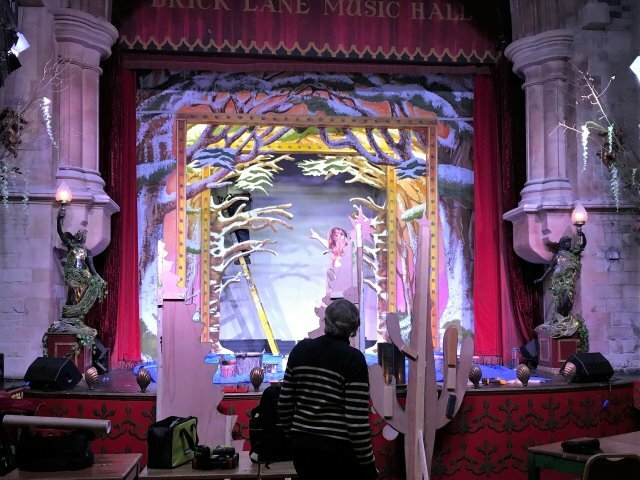 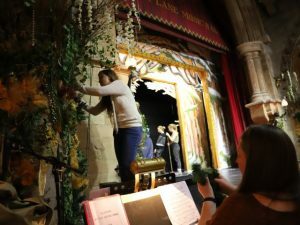 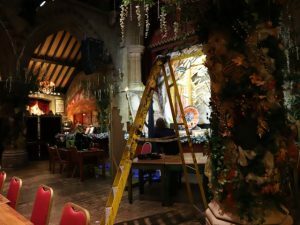 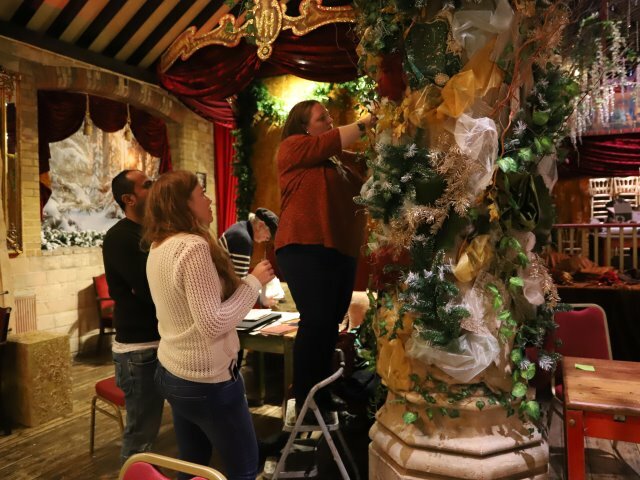 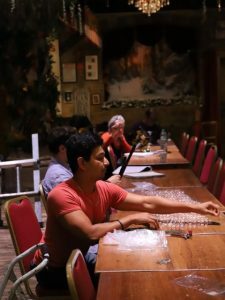 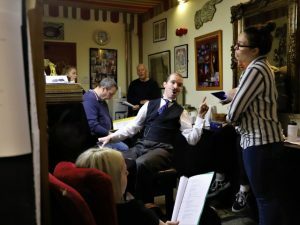 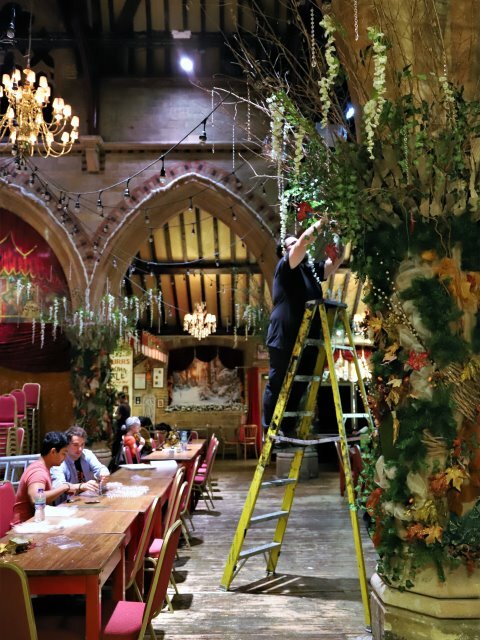 In the meantime, the rest of the staff were hard at work to transform the theatre and bring the whole picture together with our marvellous Christmas theming, while the production team, artists and musicians got to work on the show!